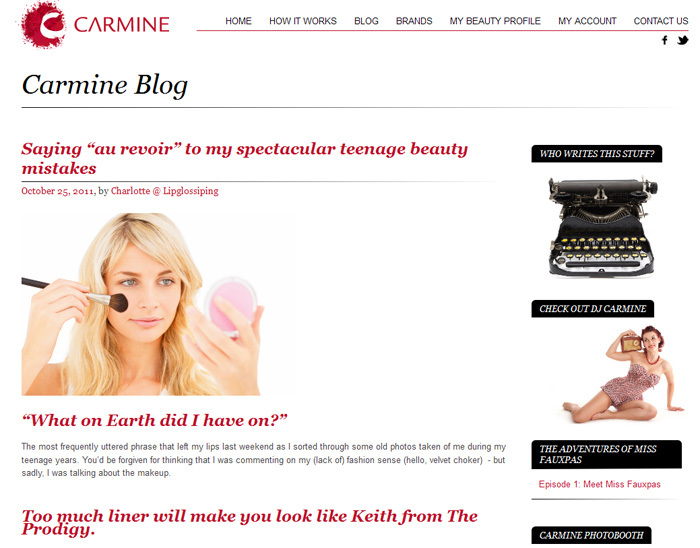 My first article for Carmine went live this week! In it, take the opportunity to talk about some of the makeup crimes most of us have perpetrated at some point or other. What were your biggest makeup faux pas when you were growing up? Would you recommend Carmine or glossybox? I’m already subscribed to glossybox but I’m not feeling over the moon with it. what are your thoughts on which is better? Carmine is great (I get 4 boxes a month) so far, but the October box was the first one so it remains to be seen if it will stay that way.